Get My Latest Blog Posts in Your Inbox! 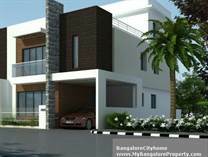 Hello Every Body with time Technology Changes, and in this New Year 2017 we have moved our MyBangaloreBlog to a new address at Blog.MyBangaloreProperty.com it is built on wordpress with a responsive design and seamlessly integrates with our website MyBangaloreProperty.com. B.T.M. 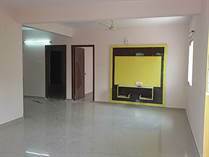 Layout, Bangalore - Attention Investors- A Brand New Rent Fetching 4 Family Unit Property for sale in BTM layout BDA. near IIMB and Fortis Hospital off Bannerghatta Road, in a fully developed Calm residential layout with nearby well Maintained Park, Play Area, Bus Stop, Grocery Store and other civic amenities. This is a 4 Unit property with Ground Floor + 3 Floors of Construction. Ground Floor has Car Parking and Single Bedroom Studio Unit. On 1st, 2nd and 3rd Floor there are separate 2BHK Houses each with 2 Bathrooms, 2 Bedrooms, with Modular Kitchen, Wardrobes, Dressing and TV Cabinets done. All Bathroom Fittings and Electrical Fittings Included. Granite Flooring and Cauvery Water supply. 100% Tar Road with 30ft Road infront. we also have 4 & 5 Units houses in BTM Layout starting from Rs.115 Lakhs and in JP Nagar starting from 65 Lakhs all BDA Layouts. H.S.R. Layout, Bangalore - East Facing Brand New 7 Unit House built on 30x40 BDA Plot for sale in HSR Layout's Prime Central Location with Cauvery Water. 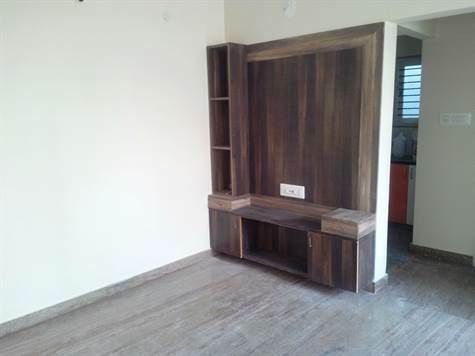 With a Superbuilt up area of 6500 Sq.ft, the property has car parking and a 2bhk house on Ground floor, on 1st floor there is a spacious 2BHK house (Refer the Photo Album). On 2nd floor there are 2x 1BHKs, on 3rd floor also there are 2x 1BHKs and on 4th floor there is a 1BHK with open terrace. 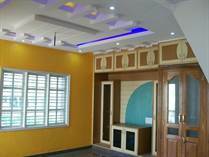 Each unit is well equipped with complete interiors done with electrical fittings. 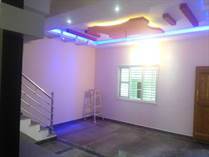 The Property has a monthly rental Potential of Rs.1,35,000 to 1,50,000. Call on 9343670806 or on 9342190008 for more details and sitevisit. H.S.R. Layout, Bangalore - Brand New Luxurious Villa for sale in HSR Layout ext, inside a Fully Developed Gated Community with Club House, Gym, Shuttle Court, Amphitheater, Swimming Pool, Play Area, 24/7 Security and host of luxury amenities all working. Just 2kms from NIFT, 4kms from BDA Complex. 3kms from Sarjapur ORR Signal. BDA Approved, BBMP A Khata. The Villa itself has a 3 Car Garage, with Home-Office on Stilt level, on 1st, 2nd and 3rd floor there is a Luxurious 3BHK Duplex Home with Italian Kitchen, Terrace Garden, Built in Beds/Cots, Walk-In wardrobes, TV Units, Lights, Fans, Geysers and High-End Interiors Done. Please call on 9343670806 or on 9342190008 for more details and sitevisit. Please call on 9343670806 or 9342190008 for more details and sitevisit. Own Borewell, Gas Line, and Cauvery Water. BBMP A Khata, BDA Plot. 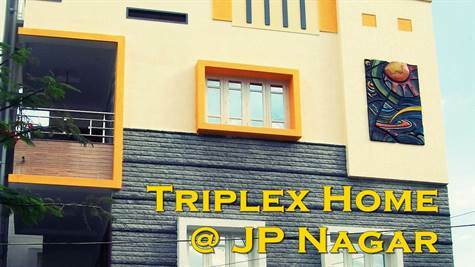 JP Nagar, Bangalore - For Sale Brand New Independent 3BHK Triplex Home along with 3 Car Park and 1BHK Separate unit on Ground Floor, 100% built as per vaastu, with own borewell, cauvery water, Highend Interiors, Full Teak Wood and Granite Flooring, 3 Large Bedrooms, with 4 Bathrooms, 1 Large Sit-out and Balconies. Located in JP Nagar BDA Layout, 4kms from Brigade Millennium, 2kms from Royal Meenakshi Mall in a fully developed calm residential locality with developed park, wide tar roads , supermarkets, bus stop and all within 2mins walk. Watch Complete Videotour for better understanding of the property. Call on 9343670806 or 9342190008 for more details and sitevisit. 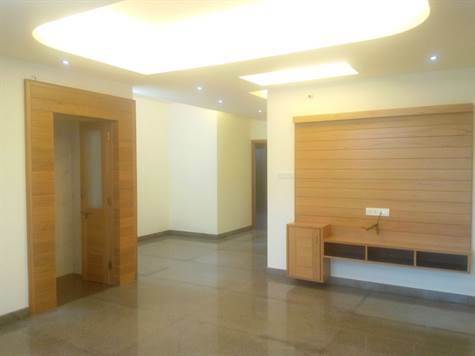 Indiranagar, Bangalore - INDIRANAGAR- For Sale a Brand New Independent Luxury Triplex Bungalow with 4 Bedrooms and 4 Bathrooms having 2 Living Rooms and Terrace Garden. Watch VideoTour for a Better Understanding of this Property. The House is Architect Designed with a very contemporary Modern Elevation, French Windows, Separate Family Hall and Formal Living Area, Study Area, Servant Entrance kept separately, right round Boundary with walking Space, With a Grand Elevation Having Stone Wall Cladding. This is a Newly Built Independent House on 1250 BDA Plot (BBMP A Khata), masterfully planned with 2 Living Rooms, and 4 Bedrooms, having Italian Marble Flooring and Teak-wood, with wardrobes, modular kitchen and complete bathroom fittings, the total built-up area is 2800 sq.ft. 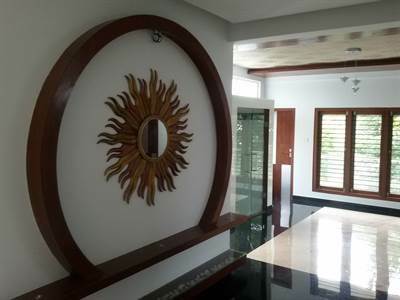 This House is Located in a Creme Neighborhood of Indiranagar with many Landmarks like CMH Road, Chinmaya Hospital, Horizon School, Sony Center, Parks, Play Area , Market Streets within close walk able distance, the road on which it is located is wide 40 feet road with tree lined avenues. The House is Planned as per vaastu with cauvery water supply, Take a Look at the Floor Plans for a better understanding of the Layout of the Property, better you visit this property personally as an opportunity like owning a New Independent House in Indiranagar doesn't come often! Please call 9343670806 / 9342190008 For Complete Details and Sitevisit. B.T.M. Layout, Bangalore - Avaiilable for sale a 40x60 BDA site opposite to RTO Office ( Electronic City RTO) Located in BTM Layout 4th stage 2nd Block, nearby Sai Baba Temple, and on the way to DLF New Town and Hiranandani Apartments, suitable for residential as well as commercial purpose, the location is very promising with the shifting of RTO Office here and DLF Mega Township, nearby areas include Vijaya Bank Colony, IIMB (2kms), Fortis Hospital (3kms), Silkboard Signal(4kms). The expected price is Rs.80 Lakhs, Direct Allotted Seller. 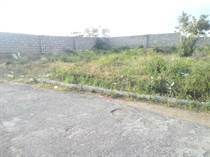 since it is a BDA Plot it has Cauvery water supply, underground sewage lines, electricity connection, nearby developed park, ready to build house as nearby many houses have already comeup. Please call on 9343670806 or 9342190008 For Complete Details and Sitevisit. JP Nagar, Bangalore - For Sale Independent 1BHK+ 3BHK Duplex BDA Home in JP Nagar BDA Layout off Bannerghatta Road, near to Royal Meenakshi Mall and Meenakshi Temlple, with Ground Floor having 1BHK house along with Parking Space and 1st, 2nd Floor Having Spacious Duplex 3BHK House with Pooja Room, 2 Balconies 3 Bedrooms and 3 attach bathrooms, on 3rd floor there is open Terrace with Party Room and Laundry Space, the entire house has Granite Flooring, Modular Kitchens, Wardrobes, TV Cabinets, UPS , Solar Provision, AC Points, Complete Modern Living, in a calm developed Locality with cauvery water, tar roads, park and security etc. The House also has own borewell take a look at the Video for More info. Call 9343670806 or 9342190008 for more details and sitevisit. JP Nagar, Bangalore - For Sale Brand New Independent 3BHK Triplex Home along with 3 Car Park and 1BHK Separate unit on Ground Floor, 100% built as per vaastu, with own borewell, cauvery water, Highend Interiors, Full Teak Wood and Granite Flooring, 3 Large Bedrooms, with 4 Bathrooms, 1 Large Sitout and Balconies. Corner & Cozy Duplex Indpt Home! 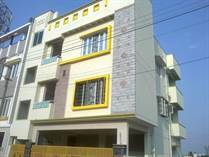 Bangalore North, Bangalore - Independent Duplex Corner Home Located in Hennur Road, near to Coffee Day. This is a Brand New Home built on 30x20 Corner Plot with 3 BHK Duplex Home with 3 bathrooms and 1 car park, DC converted with BDA NOC, Own Borewell, 100% Developed Locality with all amenities within walkable distance. 4kms from Manyata Embassy Business Park and 3kms from Outer Ring Road. Home Loans Available. Watch Videotour for Better Understanding. Bangalore North, Bangalore - Hennur Main Road near Legacy School, Biozene and Before Salarpuria Gold Summit Apartments. 3BHK 2300 Sq.ft Kingsize Apartments with Private Courtyards for sale, Semi-Furnished with Teak wood and all interiors. 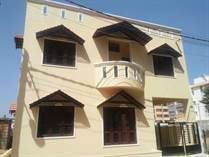 This is a Corner Apartment with 2 side roads, ground floor complete car parking, above each floor has 2 flats each totally 9 Homes in the Apartment. At present we have 3 units left, both North Facing and West facing doors available, amenities include Lift, Power-backup, Security, CCTV, Borewell, Rain water Harvesting, Covered Car Parking and a Contemporary Elevation Design. 5kms form Manyata Tech Park, 4kms from Outer Ring Road. Emerging Location in North East Bangalore, Centrally Located between MG Road and International Airport. Find the Videotour and Floor Plans above. Home Loans arranged. B.T.M. Layout, Bangalore - BTM Layout (BDA ), Independent Brand New 3BHK Duplex +Studio Home with 2 Car park for sale, Architectly designed, Ground floor having 2 car park and 1 bedroom studio unit which can be rented out separately or used as home office or guest house, above it has a well planned 3BHK Duplex House with Pooja Room, and open terrace. the house has own Borewell as well as cauvery water with wide 30ft Tar road, near by park and all civic ameneties, off Bannerghatta Road nearby HSBC, Fortis, Apollo, IIMB and Honeywell. Property Located in Padmanabhanagar near Kidney Foundation in Banashankari 2nd Stage about 2kms from DG Petrol Bunk.